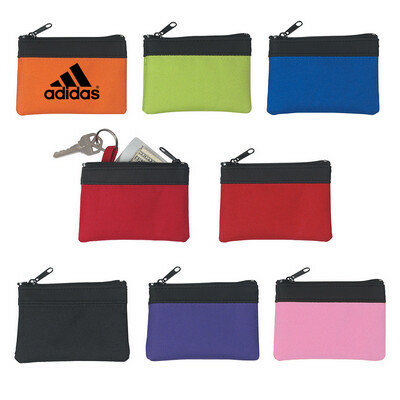 Features: This coin pouch features a zippered compartment and a split ring attachment to keep keys safe. There are seven colors to choose from. Price includes : 1 COLOUR 1 POSITION PRINT. Setup is included.